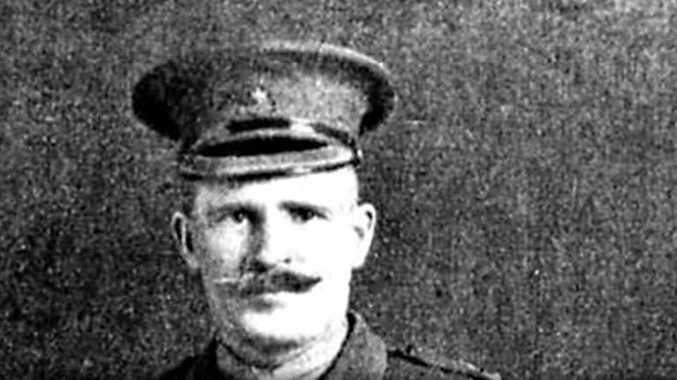 ANZAC history could be rewritten to credit a boy from Bundaberg with winning the battle that turned the tide of World War I. 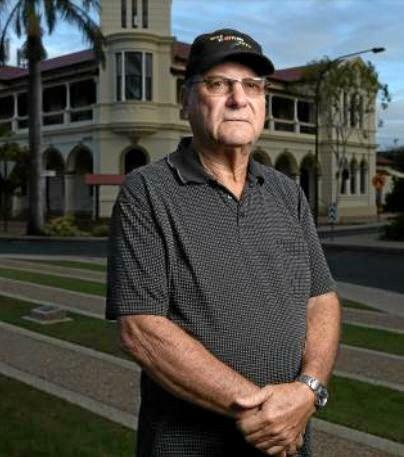 The Bundaberg branch of the RSL will launch a campaign to give Lieutenant Colonel John Alexander Milne what many believe is his rightful place in the annals of the Anzacs. Researchers, backed by the RSL, have challenged a key tenet of Anzac folklore that says the Battle of Villers-Bretonneux on April 25, 1918, played a pivotal role in the Allied victory. They claim it was, in fact, actions led by Colonel Milne earlier that month, on April 4 and 5, at Villers-Bretonneux that were far more crucial in helping to end the war. Colonel Milne has been the subject of thousands of hours of research across three years including examination of primary source documents from France, England, America, Australia and Germany. RSL Bundaberg Sub Branch president Paul Tramacchi will tell this morning's commemoration that at the first battle of Villers-Bretonneux on April 4 and 5, 1918, an "audacious, suicidal counter attack'' by an Australian brigade defeated a vastly numerically superior force of elite, battle-hardened German stormtroopers. 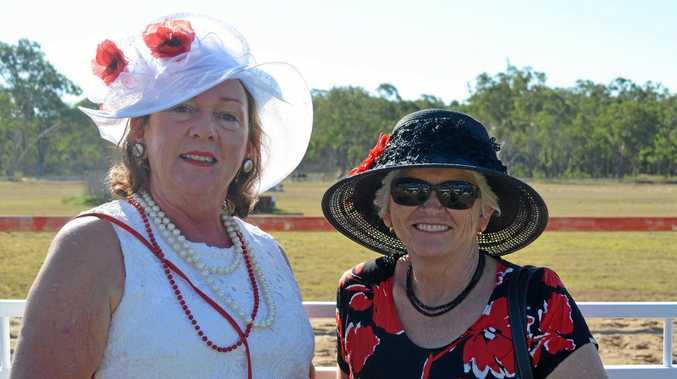 "The Anzac spirit, born just three years before at Gallipoli, inspired our Bundaberg hero Colonel 'Jock' Milne and his 36th Battalion to win an outstanding strategic victory of war-changing proportions at the most critical period of World War I,'' Mr Tramacchi will say. Mr Tramacchi, himself a war veteran who served with the 7th infantry Battalion RAR in Vietnam in 1967-68, said the RSL was determined the campaign would not compromise the courageous reputation of Sir John Monash and Australian soldiers at Villers-Bretonneux on April 25, 1918. However, Mr Tramacchi said legitimate questions had arisen on the strategic importance of that second battle, with one crucial piece of evidence showing Germany had declared the object of that April 25 battle was to divert attention from operations in Flanders. 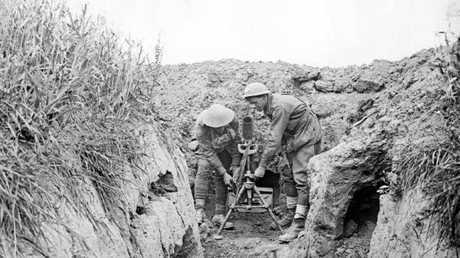 Two men from the 7th Australian Light Trench Mortar Battery operate a light trench mortar established in a machine gun post on the front line just east of Villers-Bretonneux in 1916. History already records that Colonel Milne won a major victory against the Germans at Villers-Bretonneux on April 4-5. Not merely leading his men, Colonel Milne actually participated in a spectacular bayonet charge. Before Colonel Milne's heroic contribution could be recognised he was killed on April 12, 1918, by a shell and is buried in Heath cemetery, Harbonnières. The case is primarily concerned with sparking an official reappraisal of the events of the 1918 April offensive with a view to better recognise Colonel Milne's role. 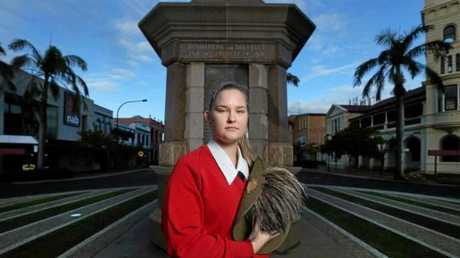 Kayla Gordon, 17, whose great-grandfather Arthur Gordon served in the Light Horse in World War I, said she believed many young Australians were increasingly aware of the significance of the Great War. "I am very proud of what my grandfather did for his country,'' she said. There is one piece of evidence which already suggests the case for Colonel Milne has merit. German Chief of Staff Paul von Hindenburg, who led the Germans at Villers-Bretonneux, makes it clear in his own memoirs that Villers-Bretonneux was not the primary aim of the Germans in the spring of 1918. The nearby town of Amiens was the target, with the German strategy to capture Villers-Bretonneux and from its heights, command Amiens with heavy artillery. Hindenberg concedes his ambitions were shattered not on April 25 but on April 4-5 when the Allies, including Colonel Milne and his Australians, pushed back German troops. By April 5 "the Great Battle in France was over!'' Hindenburg wrote.